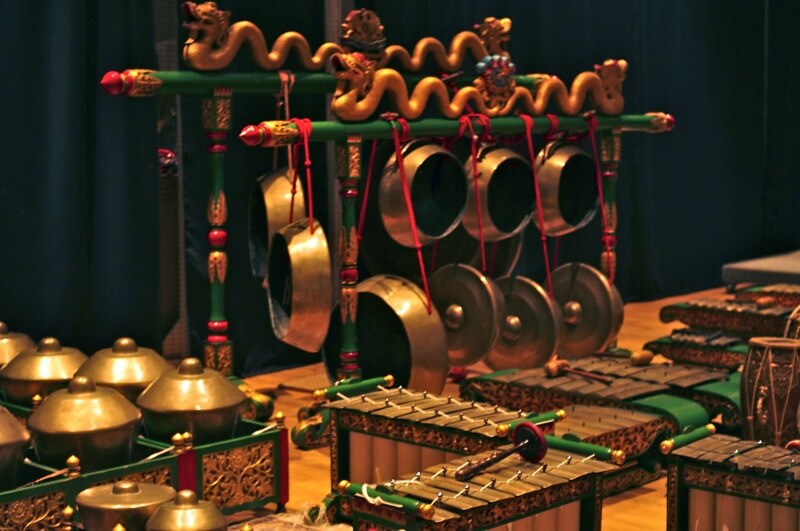 Gamelan Kusuma Laras is a classical Javanese gamelan orchestra based in New York City that performs music, dance, and theatre from the classical repertoire of the courts of Central Java. Gamelan Kusuma Laras is comprised of American and Indonesian players. The orchestra was formed 30 years ago to study and present Indonesian performing arts to American audiences. Kusuma Laras has entranced music and dance lovers in the Northeast and other parts of the U.S. and in Indonesia with their authentic performances on instruments created especially for the Indonesia Pavilion at the World’s Fair of 1964-65 in New York. Gamelan Kusuma Laras features I.M. Harjito as its artistic director. Mr. Harjito is considered one of the finest Javanese musicians living today. He is also a composer of traditional and innovative works for gamelan and is a faculty member at Wesleyan University. He is assisted by co-directors Anne Stebinger and Jon Rea, American musicians who have studied and performed classical Javanese music extensively in Java and the United States. The ensemble, which rehearses and performs at the Indonesian Consulate in Manhattan, has been active in the New York City cultural scene since its inception. 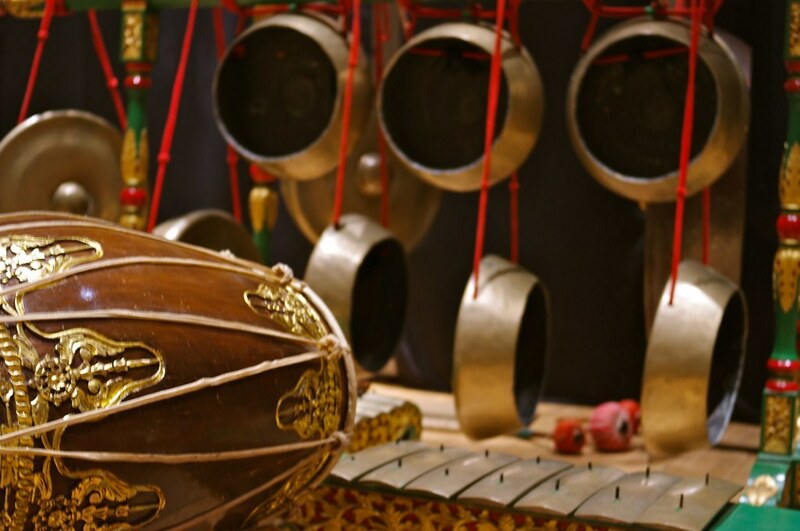 It has performed at Lincoln Center, the American Museum of Natural History, the Metropolitan Museum of Art, the Whitney Museum, Symphony Space, Brooklyn Academy of Music, Bard College, Vassar College, Wesleyan University, Princeton University, the Cathedral of St. John the Divine, and the Yogyakarta International Gamelan Festival, among others. Gamelan Kusuma Laras can perform with a chamber ensemble of five to eight musicians, or with a full ensemble of 25 or more players. The group is experienced in performing concerts, wayang (shadow theater), receptions, openings, workshops, parties and weddings. For Information concerning Gamelan Kusuma Laras, please contact Anne Stebinger or Carla Scheele. To receive our concert announcements by e-mail, please contact Stuart Frankel. 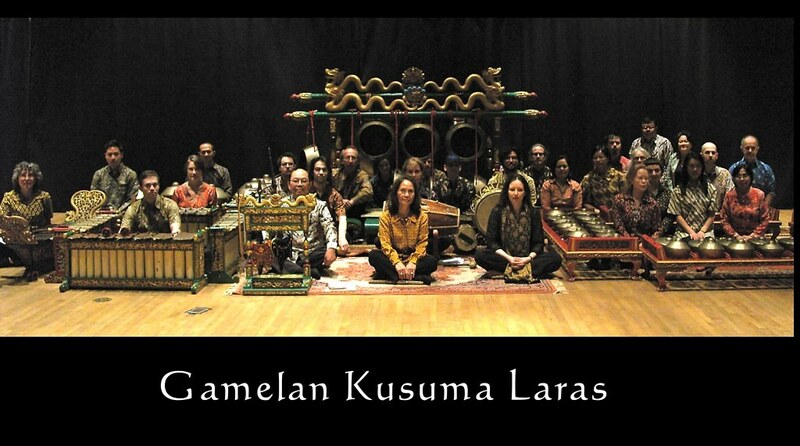 Gamelan Kusuma Laras, Inc. is a recognized not-for-profit corporation. Your financial support keeps our music alive. Please consider making a tax-deductible donation today!